The Green Machine has a new look! Very often we print documents even though deep down inside of us we know that we will probably not need them for very long. Eventually, as was to be expected, we throw them away. And sometimes we even print documents knowing very well we will throw them away within a few minutes or hours. Just think of all the documents you print out as a reminder to do something or to proofread before sending. For exactly these non-permanent documents the e-STUDIO 5008LP is the perfect solution. 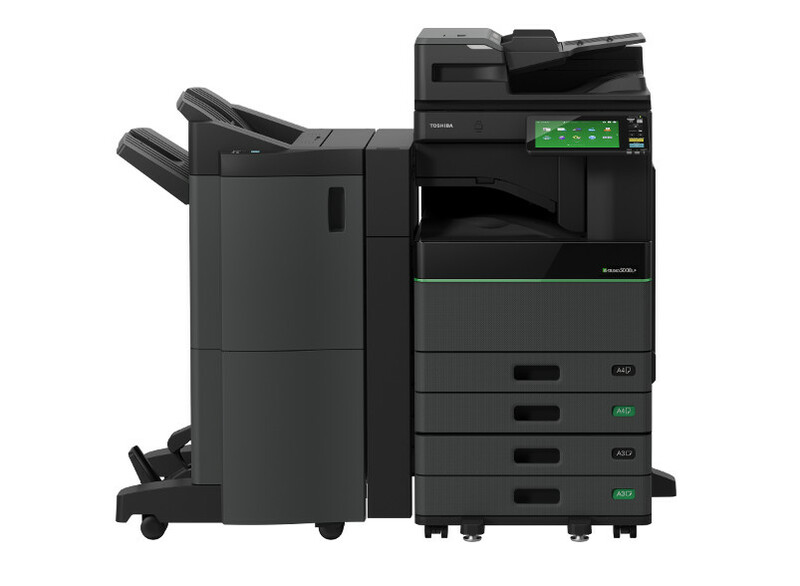 The Green Machine now comes in 3 different speeds, the e-STUDIO 3508LP is 35 prints per minute, the e-STUDIO 4508LP is 45 prints per minute and the 5008LP is 50 prints per minute to suit any and all business needs. Tablet-like – Customisable user interface to suit your personal needs. The e-STUDIO 5008LP is everything you would expect from a multifunctional system plus the benefit of reducing your carbon emission by reusing your paper. It not only erases documents but is also capable of scanning and archiving them for you. With Toshiba’s e-STUDIO 5008LP you can reduce your paper usage without having to print less.